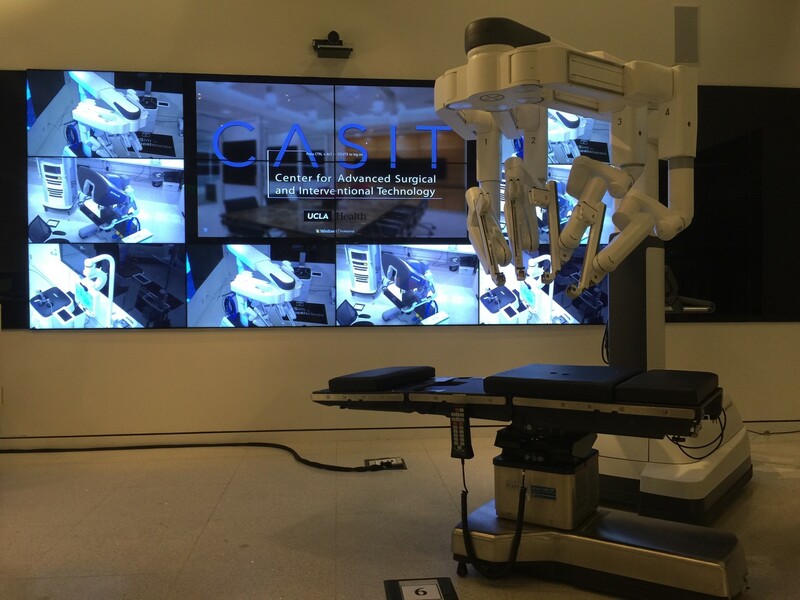 CASIT, The Center for Advanced Surgical and Interventional Technology, was conceived following the 1994 earthquake when it was necessary to build a replacement hospital for UCLA. 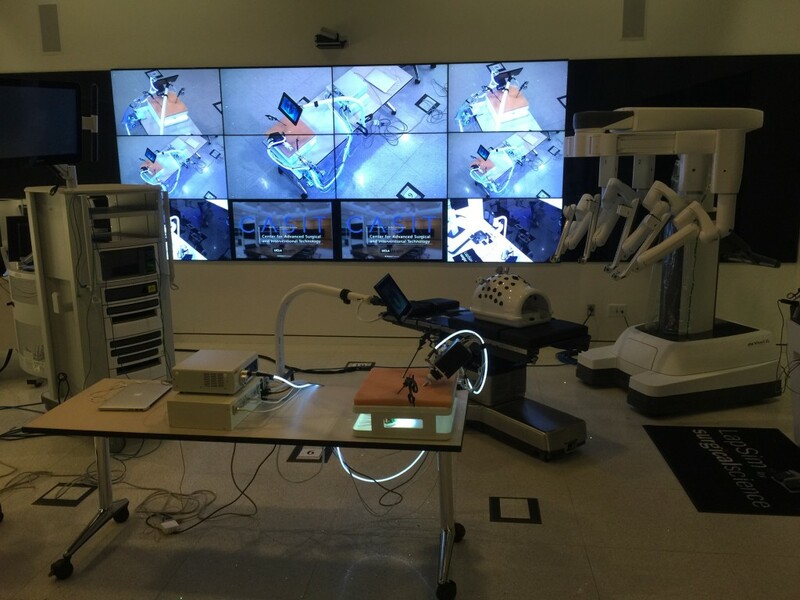 Our task was to design the 21st century operating rooms. Pioneering computer scientist Alan Kay said, “The best way to predict the future is to invent it.” Thus inspired, the idea emerged to create a center as an on-going hub for research and education of surgical technologies. Important partners were departments of the school of engineering, mathematics, cognitive psychology, education, and industry. 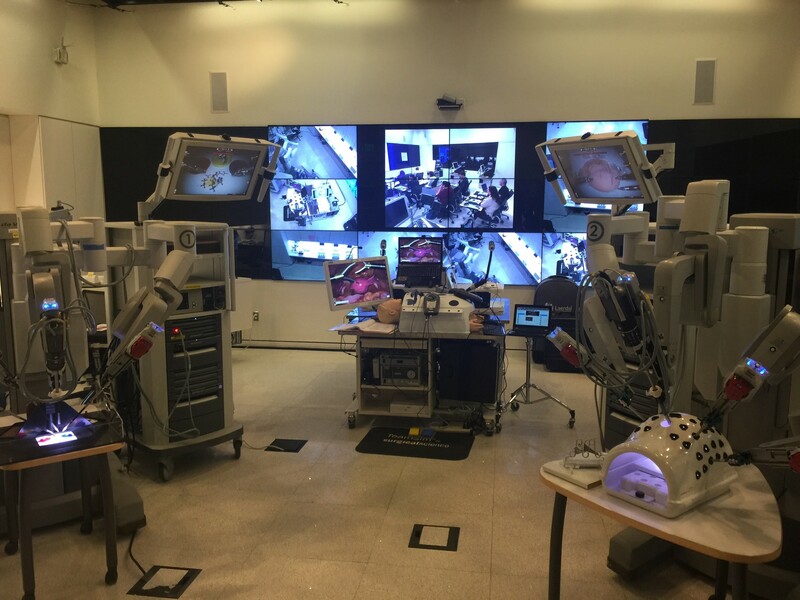 The new CASIT center in the Ronald Reagan UCLA hospital provides an environment where surgeons and trainees can practice or rehearse operations virtually using advanced surgical simulators, including a rich set of performance measures. This is analogous to flight simulation training of commercial airline pilots. Studies have shown that preoperative rehearsal improves performance. Surgeons in training from all surgical specialties can hone skills and practice low-incidence, high risk procedures safely. 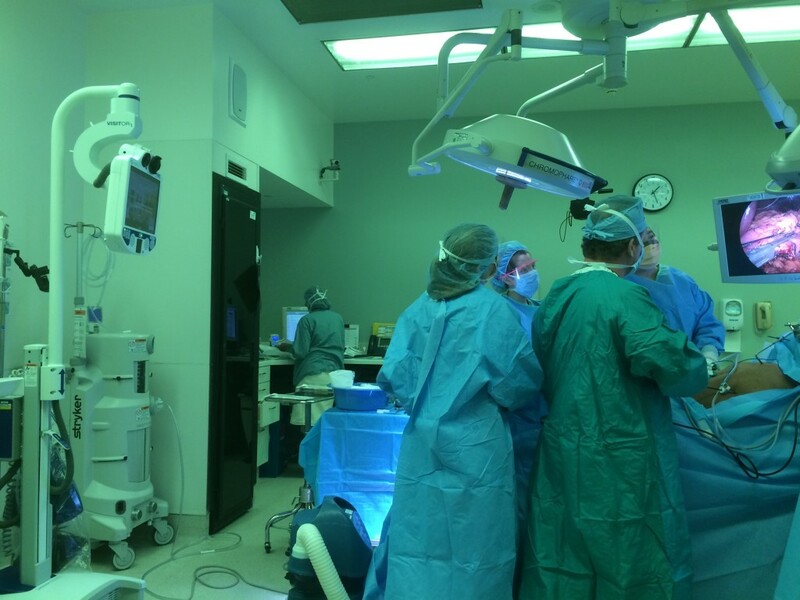 New Telehealth infrastructure in the center allows our surgeons to be “tele-present” in remote clinical settings, including the operating room. 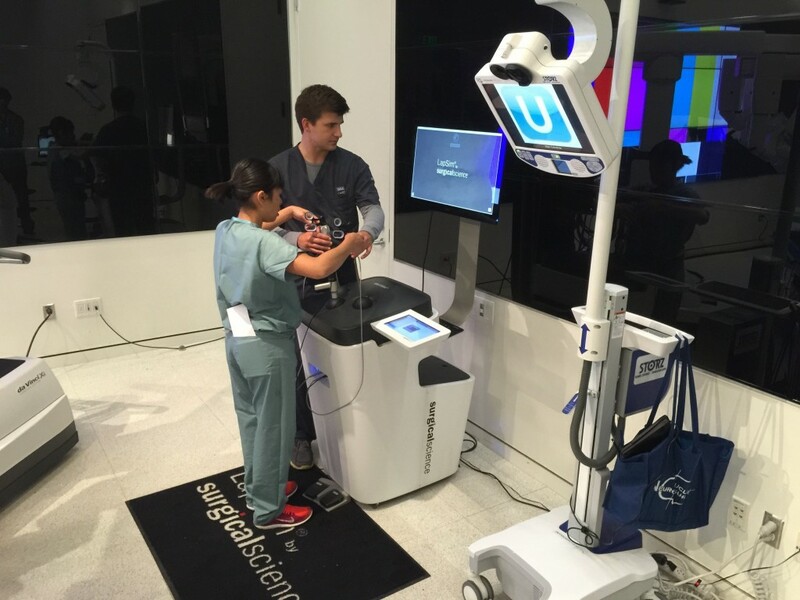 They can provide clinical care and instruction at a distance. 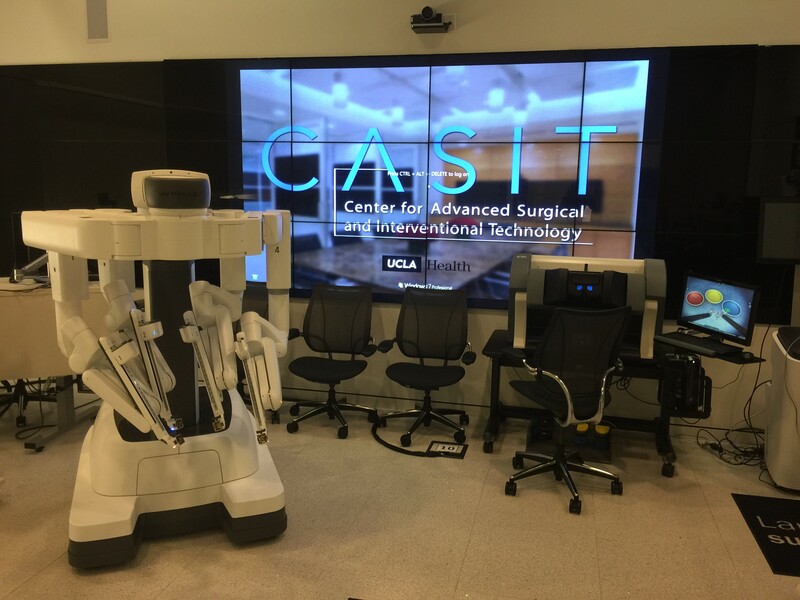 CASIT is now well-established as a multidisciplinary research, education and telehealth program for the surgical sciences. My role within CASIT as the main Technology Support Engineer is to make the vision a practical and functional reality. I have to meet the ever changing and unique support challenges that come with a complex system such as the one that we have within CASIT. This is something that I personally relish, there is always something to do and learn. 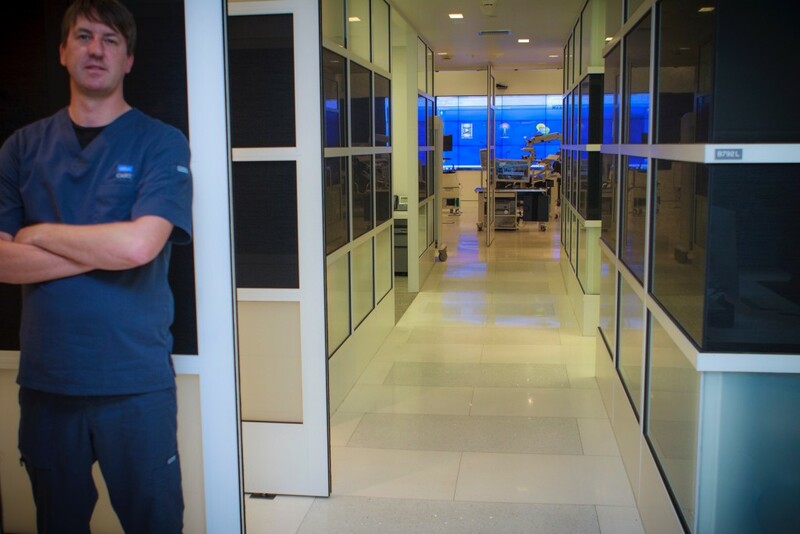 Our new CASIT suite in Ronald Reagan UCLA Medical Center has four main areas; the conference room, two telehealth private consult suites, individual staff offices and a skills/training dry lab. In terms of the conference room my role is to make sure that the touch panel, which controls the room is fully functional and communicating with all integrated systems. We have a CISCO video conferencing codec for worldwide and internal video connectivity, audio speakers, a ceiling document camera, built in table microphones, several Hospital clinical systems and software for presentations via integrated PC, a Blu-ray player, and connectivity to the cameras in the ceiling of our main dry lab. These all need to be working as per the system design. If not, it is up to me to find the issue and resolve in a timely manner. We have two dedicated Telehealth suites in CASIT, these are for private HIPPA compliant video conferencing consults with patients in distant locations. 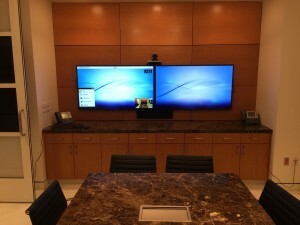 These rooms are controlled by touch panel, running a CISCO codec, with a PC for clinical systems and web use, with the option of laptop and other source connectivity. One such use that we have developed is the MAVEN Project; its mission is to address unmet healthcare needs of underserved U.S. populations seeking services at safety net clinics. 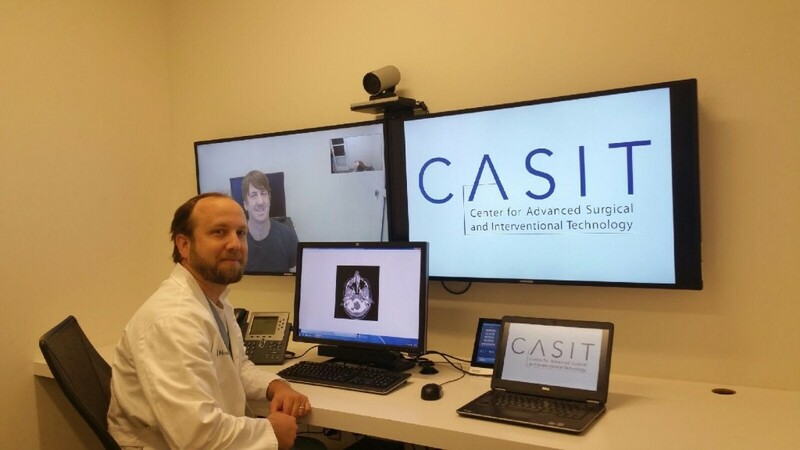 Our Dr. Abie Mendelsohn is using CASIT telehealth technology to provide consultations to patients at remote MAVEN sites. We also have the VisitOR1 robot for remote presence. This enables simple click to connect experience. 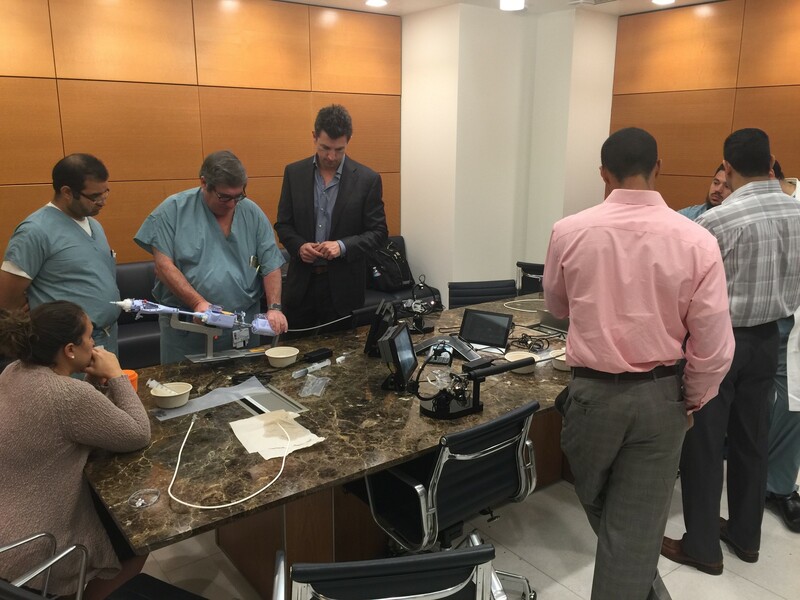 This device is a critical piece in our Telehealth program. It is well documented that surgeons per population are on the decline. 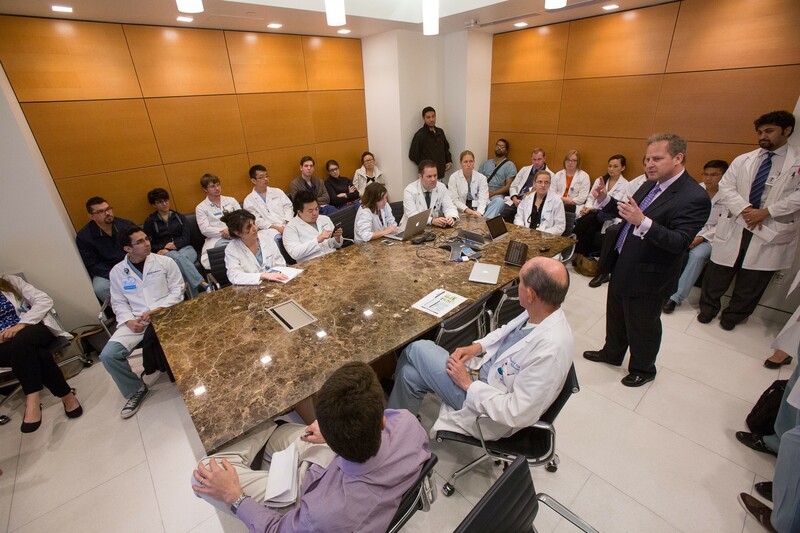 Our relationship as a teaching Hospital makes it critical to solidify the relationship of surgical education and patient care. This allows for discussion across vast distances, and ultimately the best outcome for the patient. connect remotely to the point of care. 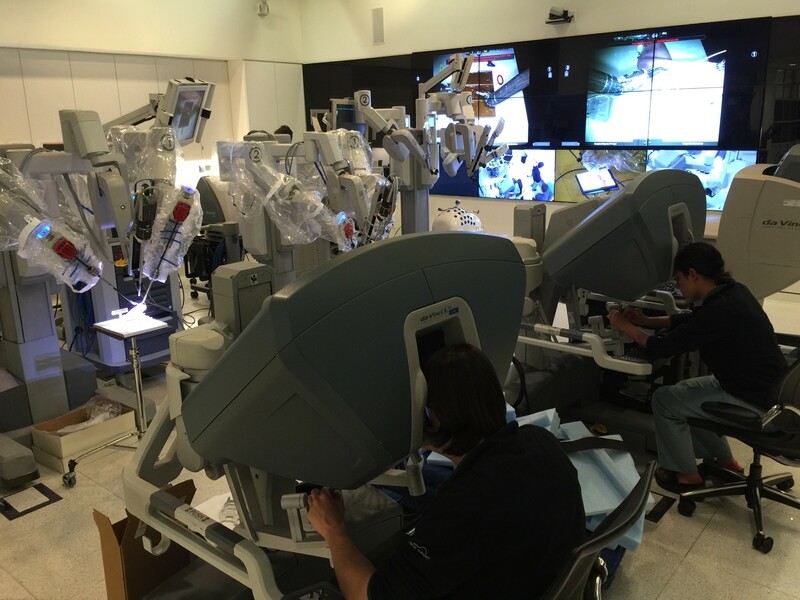 I n April 2015 and October 2015 we established the inaugural Robotic Surgery Intensive courses for residents at UCLA and in the local community. 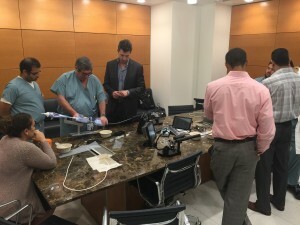 More than 200 residents from Gynecology, Head and Neck, Cardiothoracic Surgery, Urology, and General Surgery participated in combinations of lectures, demonstrations, simulator labs, dry labs, bedside skills training, and cadaveric wet labs. Pilot programs for OR nurses and bedside skills train-the trainer sessions were also launched. 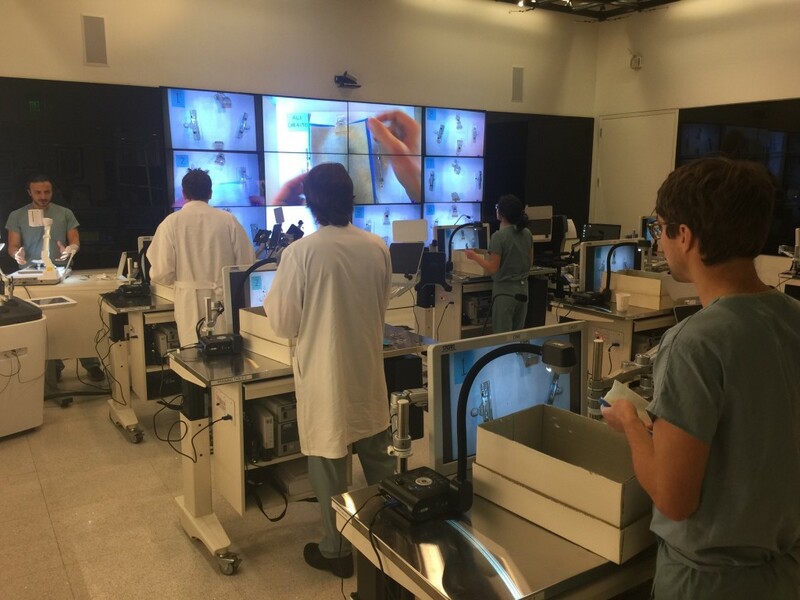 The training took place in the CASIT lab in RRUCLA and in the Surgical Science Laboratory within Center for Health Sciences. My role was to make sure that the lab Technology, and A/V function at all times. 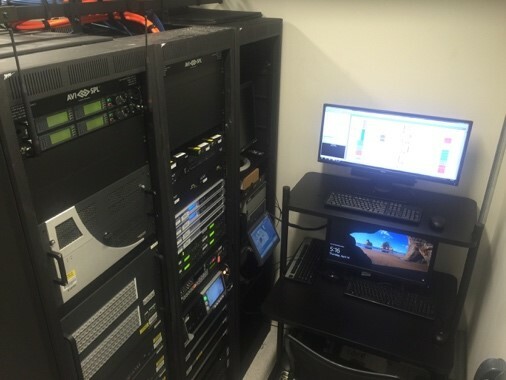 We also have the option to record and stream from the CASIT dry lab. The main CASIT dry-lab space has many uses. We are able to constantly change out the scenario on a daily basis. We also have the ability to implement future infrastructure and Technology changes. As the main Engineer I have to help with whatever Technology Support the Instructor or the specific class requires. As well as monitor the system to full functionality. Mission control aka the server room is the brains that makes all of CASIT function. 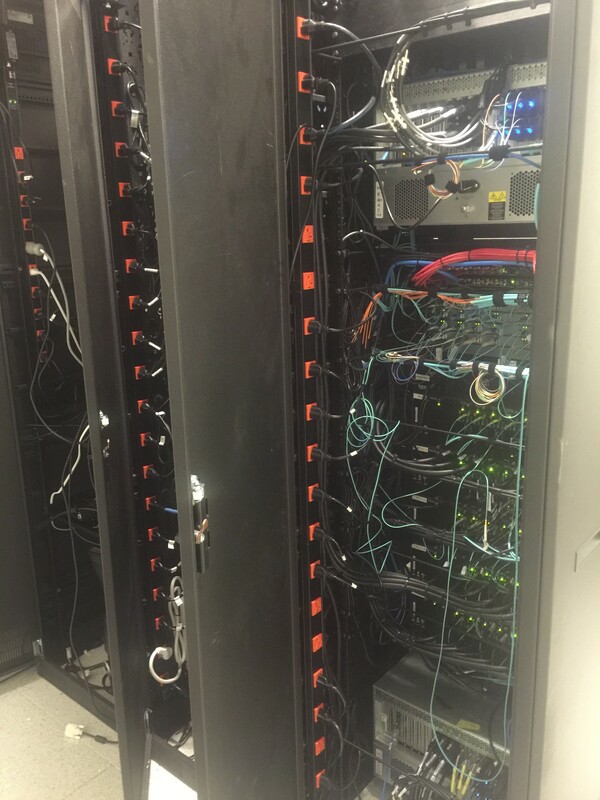 The touch panels are the simple interface for users to make the Technology operate, however the server room is what makes all the signal paths function 24/7. This room is very complex and a world all of its own, temperature controlled at all times. This is an area that I am constantly learning and understanding. Although I am not directly involved in the various research projects and grant applications related to CASIT, I am nonetheless impressed as to the impact of the research itself. To name but a couple of projects currently, CASIT researchers are fusing Virtual Reality (VR) simulation with advances in the science of learning to investigate the value of VR simulation for training first responders in the treatment of hemorrhage. Under the leadership of co-PIs Drs. Erik Dutson (CASIT Medical Director) and Phil Kellman (UCLA Dept. 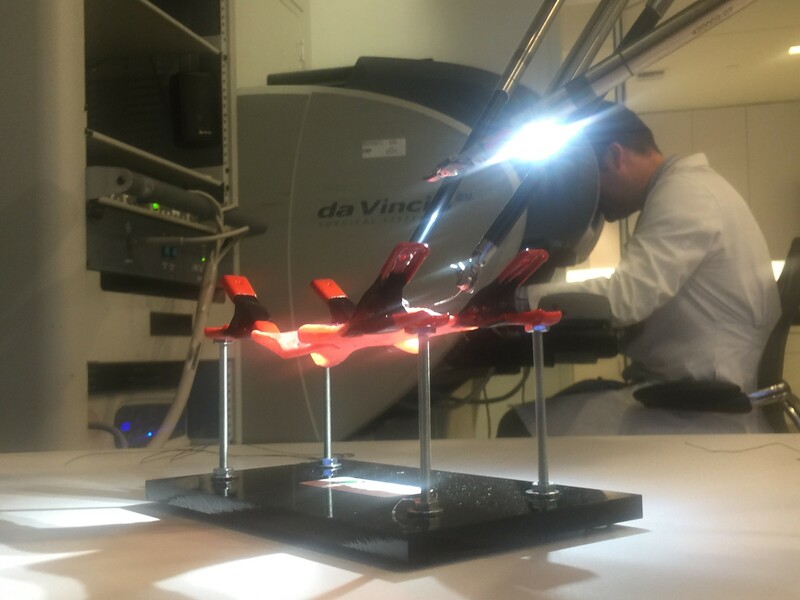 Psychology), the team has created the first detailed computer simulation of an injured leg—complete with spurting blood—a “breakthrough” model. I am personally at the moment very excited about the emerging field of 3D printing. The future for me is like a blank canvas of endless opportunity and creativity. 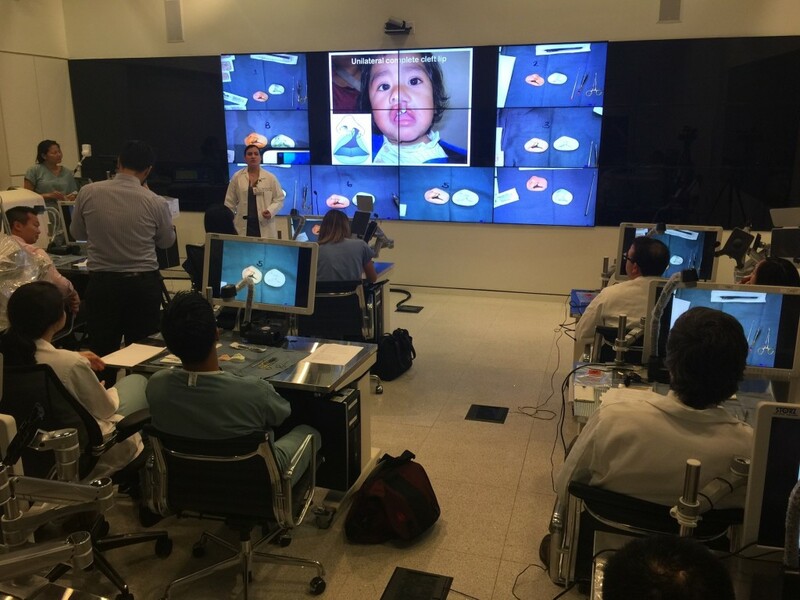 In December 2015, CASIT was accredited as a Comprehensive Accredited Education Institute by the American College of Surgeons. My role was to help showcase the Technology and the functionality of CASIT to meet the criteria required toward gaining formal accreditation. As Steve Jobs once said “Technology is nothing. What’s important is that you have faith in people, that they’re basically good and smart, and if you give them tools they’ll do wonderful things with them”. Napier and CASIT leadership gave me the tools and opportunity to do wonderful things. I am eternally grateful. Above all I am able to give back and have a sense of purpose in the work that I do. I have no doubt in my mind that my time at Edinburgh Napier was critical and more than just time well spent. I had just turned 18 when I started my Engineering studies, but the instructors guided me every step of the way, allowing a crucial opportunity to learn a formal and practical education. Although I was one of the youngest in the class I always felt that there was a healthy balance of young inexperience and mature students who had industry experience. This diverse mix greatly benefited me. I made lifelong friendships. it’s an amazing post thanks for sharing.